New artificial intelligence based analytics and assurance solution is designed to optimise network performance. 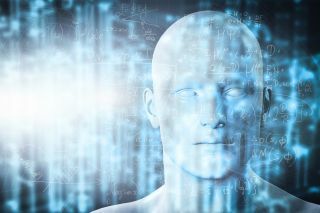 HPE Aruba has revealed a new AI analytics offering designed to optimise network performance. NetInsight uses machine learning to monitor a network and learns how to spot anomalies. Then, it is able to give optimisation recommendations, while keeping the mobile-first approach in mind, as well keeping in mind workplace-critical IoT devices. The company also announced new partnerships for its ArubaEdge Technology Partner Programme, which was built to deliver next-generation workplace experiences that securely support IoT, build automation, and personalised, location-based services for guests and employees. According to Aruba, these partners include commercial real estate (CRE), connected furniture and new technology companies. Thus, AccelTex, HPE Pointnext, Lunera, Patrocinium and SpaceIQ have joined Envoy, Robin and Teem. NetInsight is available today as a subscription starting at $30 USD per network device (access point, controller). “Companies are reevaluating their real estate strategies to better align with and enable the future of work,” said Francisco J. Acoba, Managing Director and U.S. Lead – Global Real Estate Transformation, Deloitte Consulting LLP.